A very special evening coming your way on the 5th Jan 2017 in Nicosia, Cyprus. 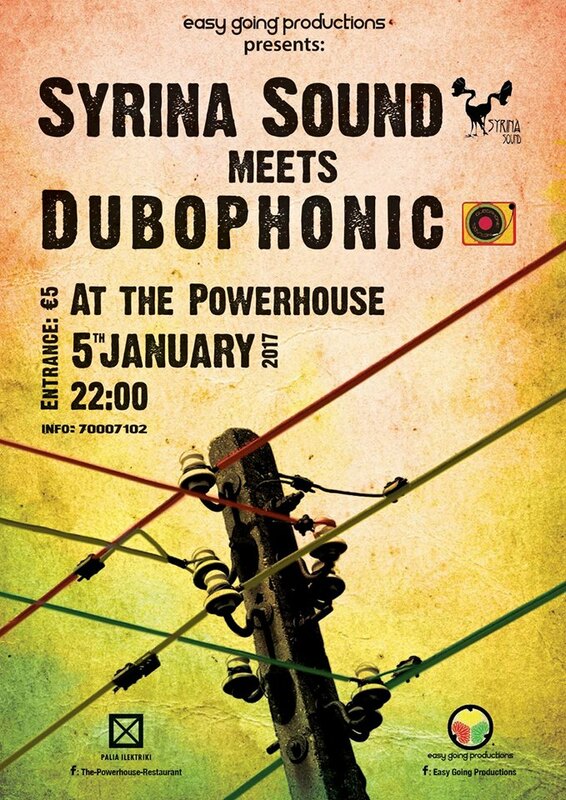 Introducing you on the decks Syrina Sound and Dubophonic, blending the conscious messages of Reggae and Dub music with the modern digital sounds of Steppers. ★ Syrina Sound ★ Based in Amsterdam, Syrina Sound is a collective of two female selectors. Playing strictly vinyl, Syrina Sound brings old and new roots, reggae and dub music to the dance: from the Abyssinians, King Tubby, Aba Shanti I and Jah Shaka, to Empress Shema, King Alpha, Jah Militant and Maasai Warrior. 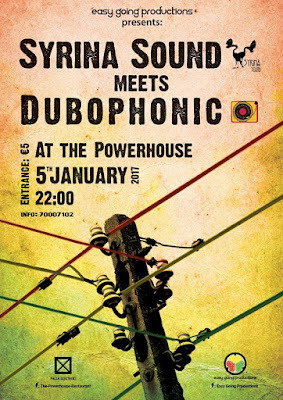 Besides sharing their love for music, Syrina Sound has been founded to promote the contributions of women to the world of reggae and dub music. ★ Dubophonic ★ The Cypriot label provides its listeners since 2013 with quality dub music. Through artists not only from Cyprus and Greece, but from all around the world (Dub Caravan, Shaky Norman, Professor Skank, Haji Mike, Med Dred, Mexican Stepper are just a few of them), the label is defining its own sound in dub music, exploring the outermost borders of dub music by combining the roots of reggae, the digital vibes of the new century and the ethnic sounds of world music in one big vibration.